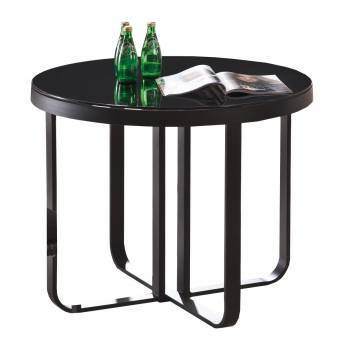 Description: The compact styling of this unit makes it suitable for having a cozy family meal or for enjoying snacks while chatting over with friends. 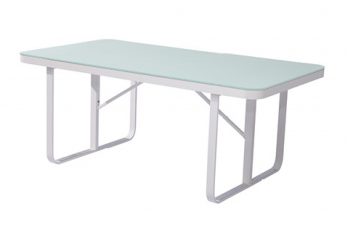 The aluminum frame also ensures strength and durability in exterior conditions. 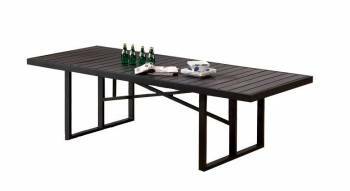 Description: Hold a grand dinner with friends and family at the Asthina Dining Table for 8. 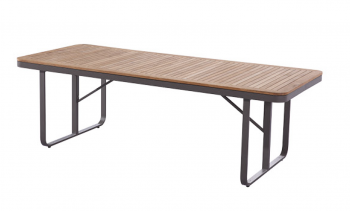 The rust-resistant base, robust legs, variety of table top options and a spacious table surface make the dining table a must-have. 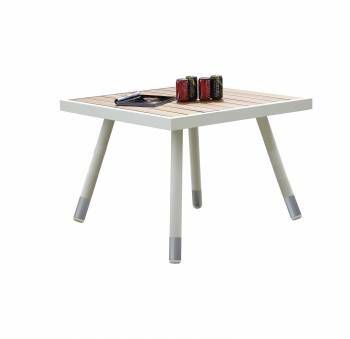 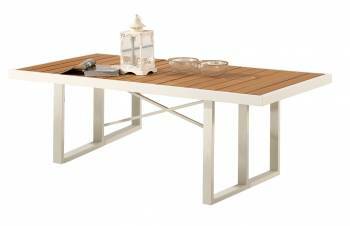 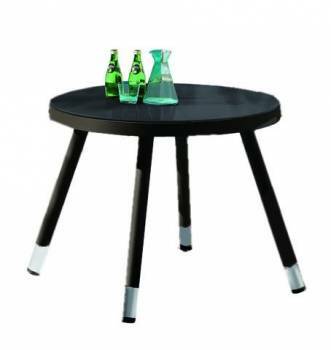 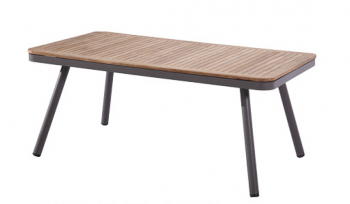 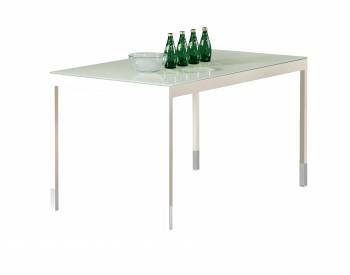 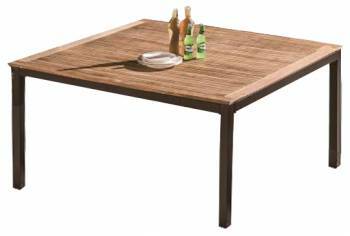 The Asthina Dining Table for 6 is an excellent addition to your verandah, courtyard or lawn. 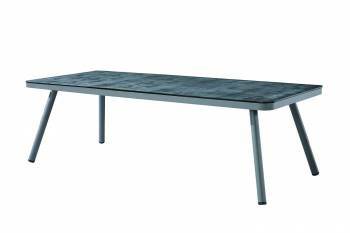 It has a compact design and is made of heavy-duty aluminum. 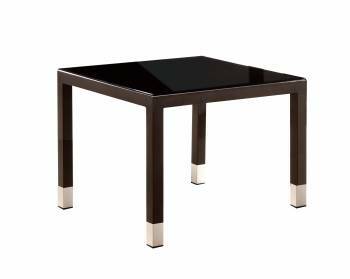 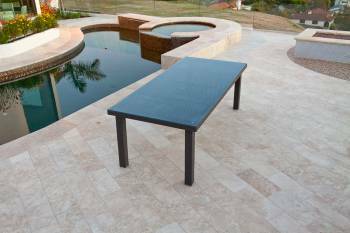 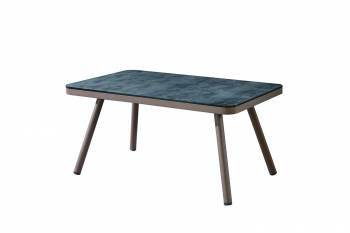 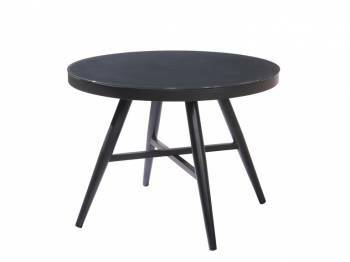 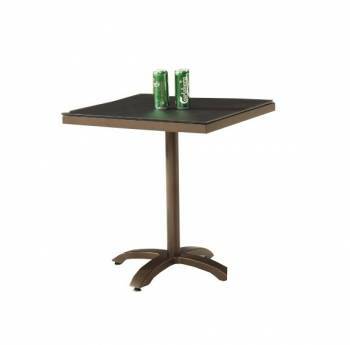 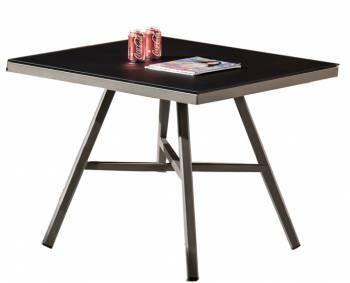 This table features a rust-resistant base and showcases exceptional strength and resistance to rust. 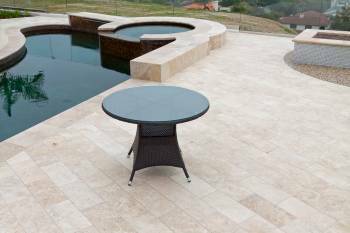 It resists fading over time and will look the same after years with little or no maintenance. 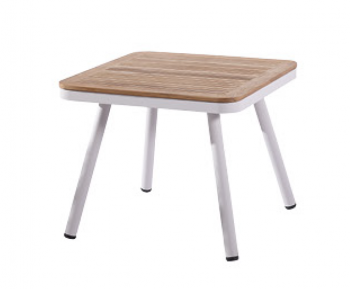 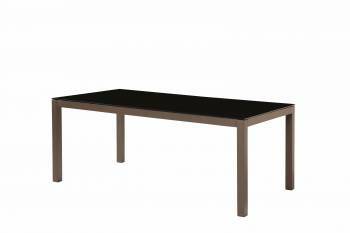 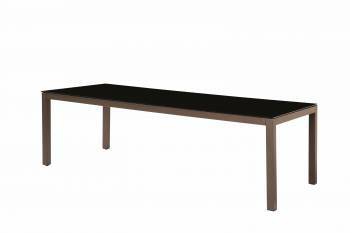 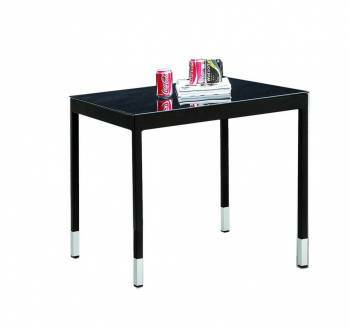 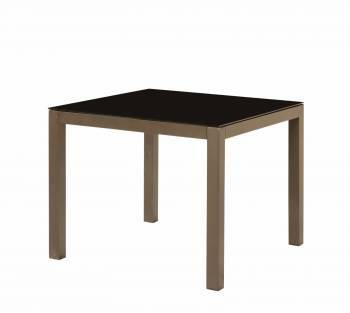 Description: Create a comprehensive dining space this compact stylish dining table. 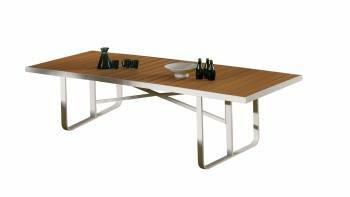 Description: Designed to accommodate four people at one time, this dining table has been constructed using fine-quality aluminum that resists rusting and can be molded with precision. 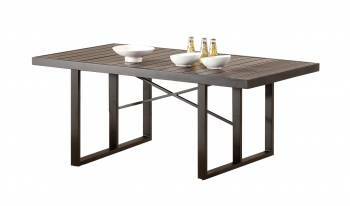 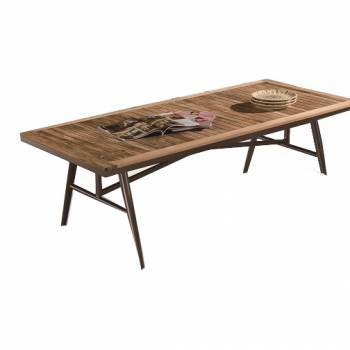 Description: This outdoor table radiates rustic vibes and is suitable for all exterior ambiences. 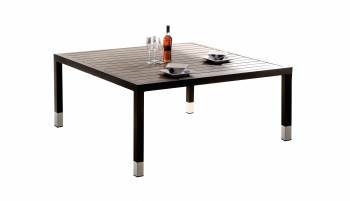 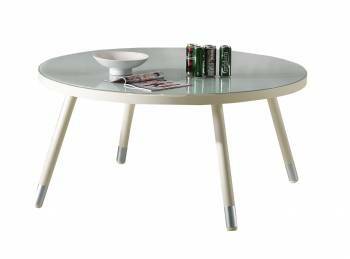 Description: The spacious table top is ideal to have tea, snacks and meals. 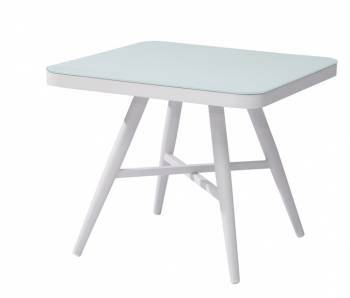 You can customize it by choosing from the available tabletop and frame colors. 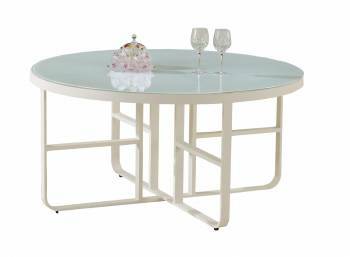 The Fatsia Dining Table for 4 is the ideal dining table for you and your family. 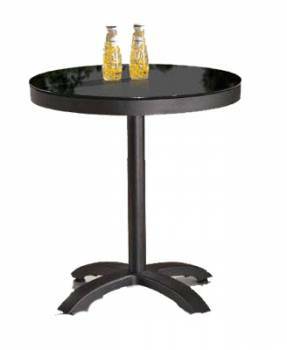 It gives you an opportunity to enjoy a lavish lunch over the weekend with your family while sharing friendly banters. 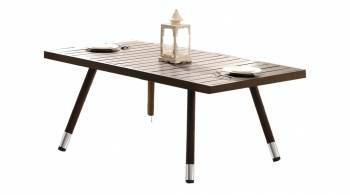 Description: Several customizations are available for you to choose from.Constructed of heavy gauge aluminum frames woven with high Quality outdoor wicker. 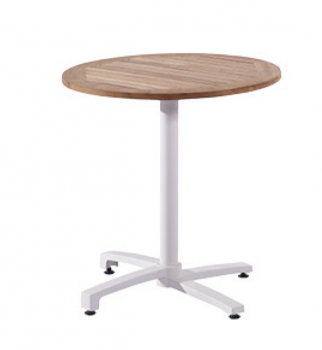 100% Commercial Quality. 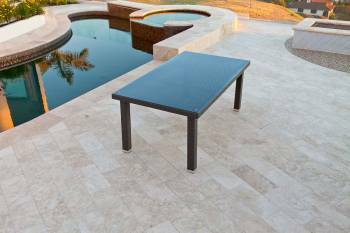 Designed for extreme temperatures in both hot and cold climates. 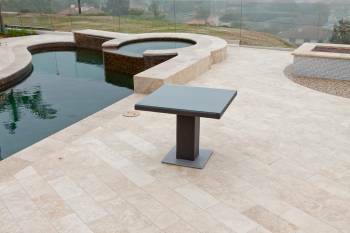 Virtually maintenance free- simply rinse it clean with a hose. 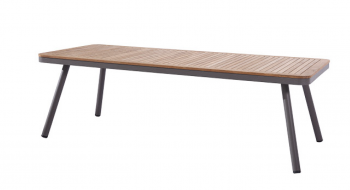 Environmentally friendly and 100% recyclable. 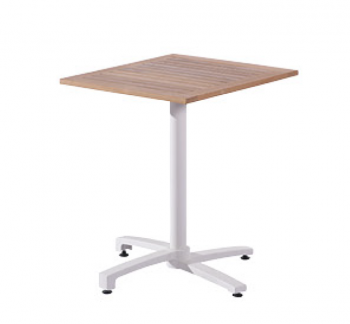 Description: Constructed of heavy gauge aluminum frame, 100% Commercial Quality.